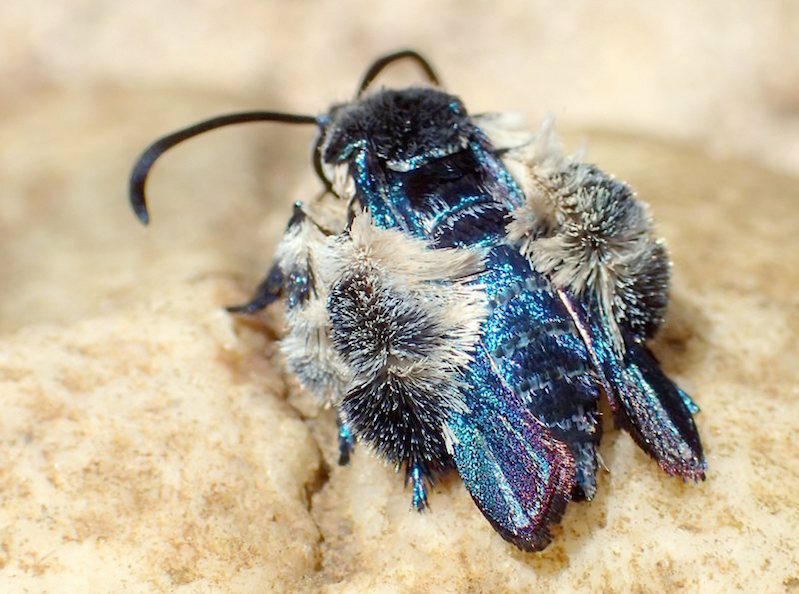 Her first encounter with the species was fleeting, only a few seconds, but Skowron Volponi says she knew immediately she had found a new species—or one that had not been seen in a very long time—because of the unique blue sheen of its wings and light-reflecting metallic blue scales. Since then, she and her paper co-author (and husband) Paolo Volponi have observed 12 individual Oriental blue clearwings. The family of clearwing moths that this species belongs to is known for its bee-like appearance, including transparent and narrow wings. They also appear to have furry bodies and legs like bees, but the fur is actually scales that have elongated through evolution to resemble the fur of bees. These kinds of adaptations make a predator think twice about scooping the moth up for dinner for fear of being stung, Skowron Volponi said.